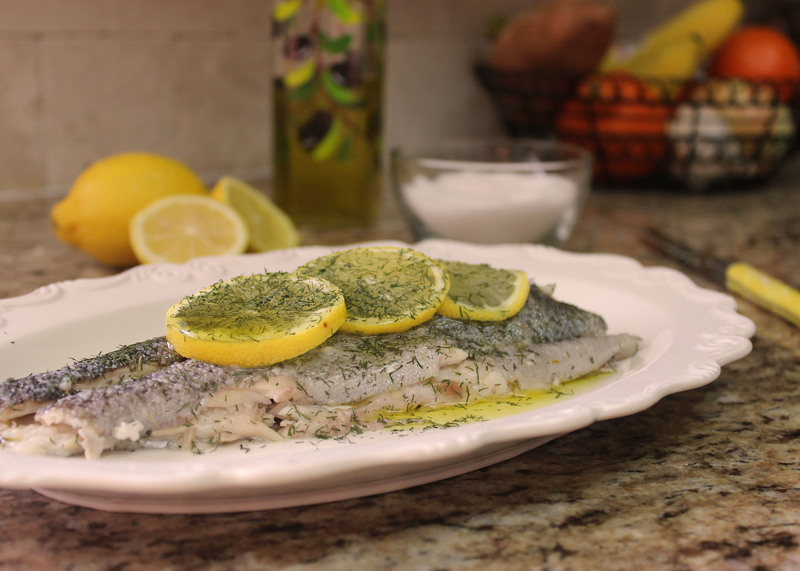 One of my favorite things to make (and eat) is baked whole fish, lightly salted and drizzled with olive oil and lemon juice. It’s delicious, healthy and reminds me of summers in Greece. 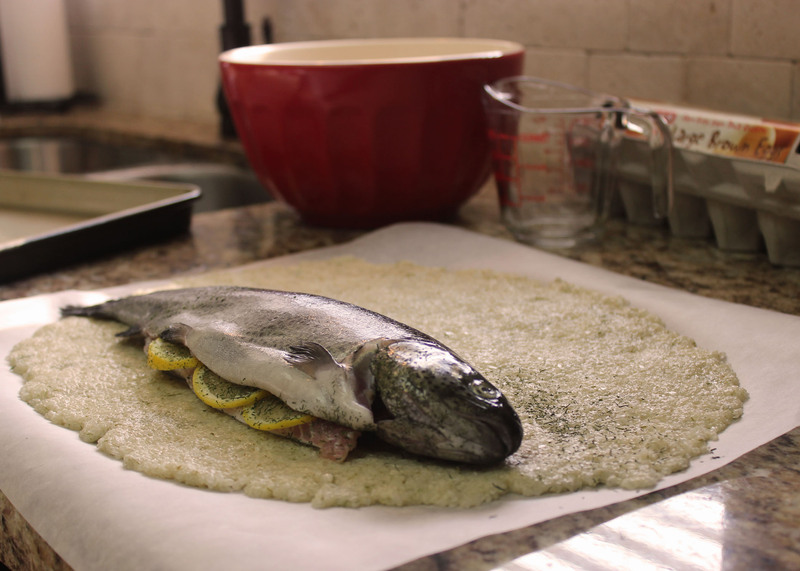 Lately, I’ve been running into different articles and recipes for fish baked in a salt crust. You’re wondering Why would you bake fish in a salt crust?! Exactly what I wanted to know! 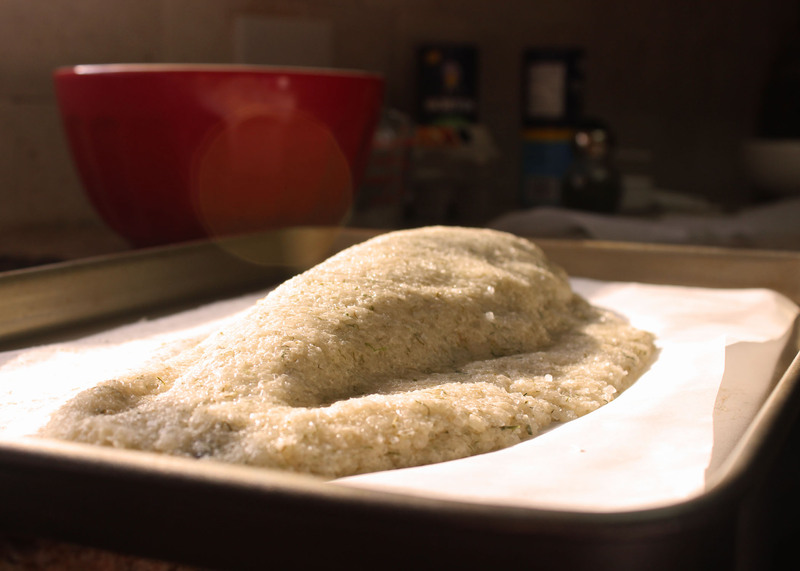 So I tested it out and here’s what I learned: Baking fish in a salt crust completely seals in the moisture of the fish and brings out the fish’s natural flavor. To sum it up in one word: YUM. Combine salt, flour and dill in a medium-sized mixing bowl. Add egg whites and mix until you have a firm dough mixture. 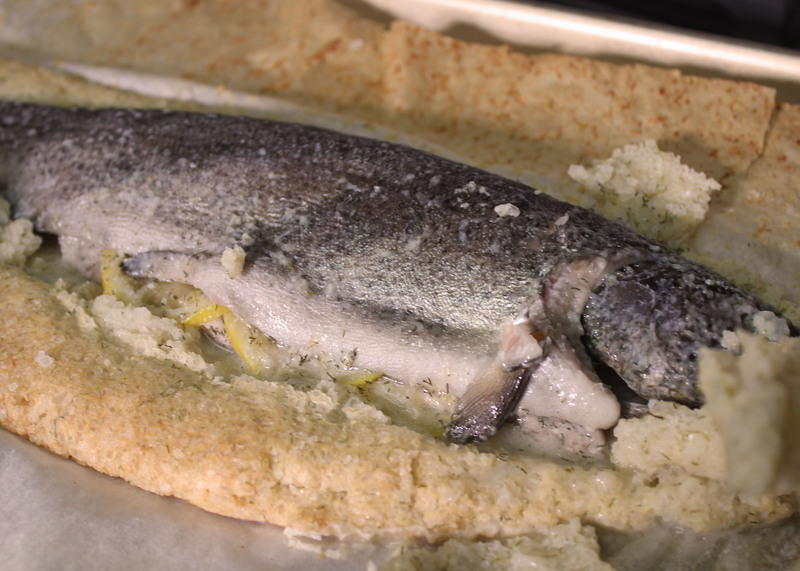 Roll out the dough on a sheet of parchment paper (about ½ inch thick) and place the fish on top. Place a few lemon slices and sprinkle extra dill inside the fish cavity. 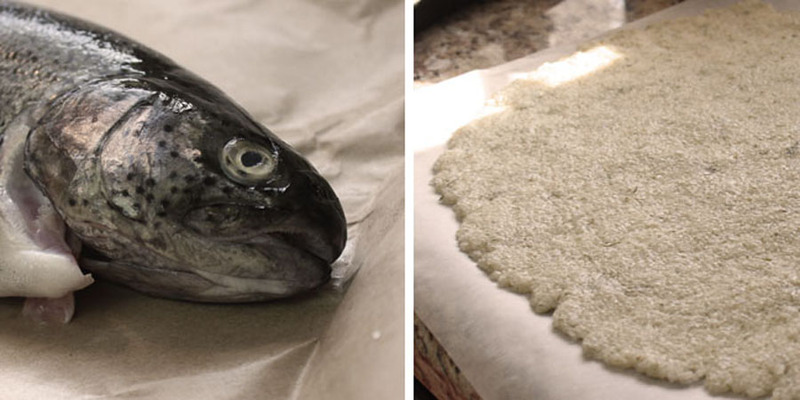 Use the parchment paper to help lift the dough and wrap it entirely around the fish. Transfer the parchment paper with the fish on it to a baking pan and tear off any excess parchment paper hanging off the sides of the pan. Bake for 15-20 minutes, or longer for fish heavier than 1lb. Once baked, carefully cut the fish out of the salt crust and brush off any excess salt on the fish. At this point you can filet the fish and drizzle fresh squeezed lemon juice and olive oil over it. Garnish with lemon slices and dill. According to my new friend at the fish market, the easiest way to tell if the fish is fresh at a glance is by its eyes. Clear means it’s fresh and cloudy means it’s not. Keep that in mind instead of just asking them if it’s fresh. They always tell me “it just came in!” Rigggggghhhhht.